If you had to illustrate the barefoot sensation a football boot gives, with a specific design, how would it look? 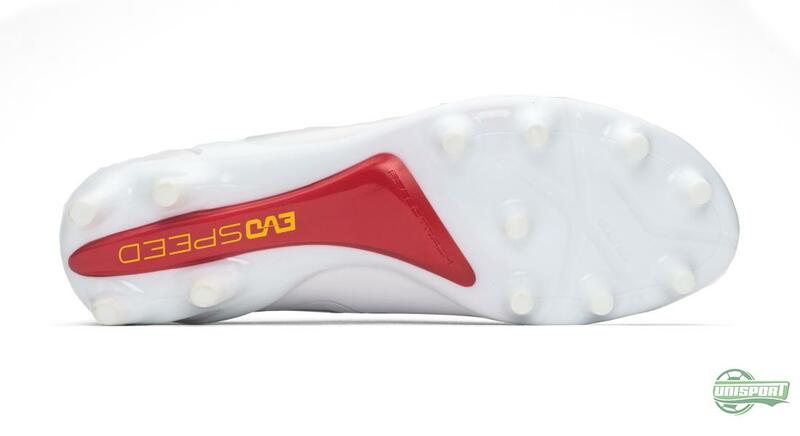 That’s the challenge the PUMA design-team was given, when they were asked to give the lightweight evoSPEED 1.3 a new look. The result stands before you here. Light, flex, fit. These three keywords have been the ideals supporting PUMA’s lightweight boot since 2012, when they presented the evoSPEED. 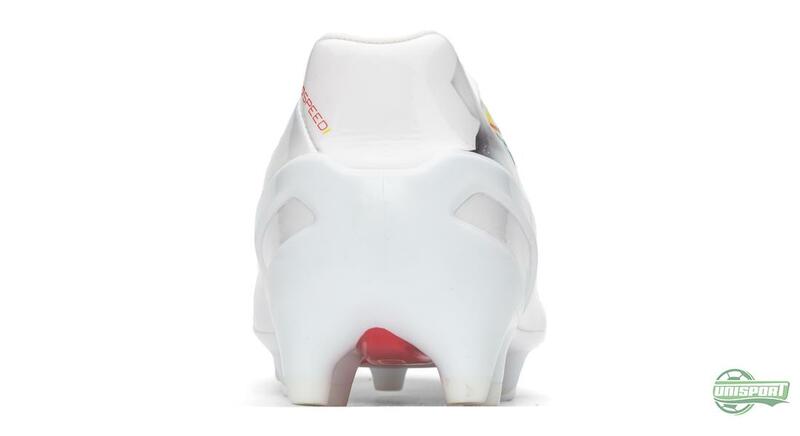 One of the things that has made the PUMA evoSPEED particularly popular among stars like Sergio Agüero and Radamel Falcao, is the very comfortable fit, which comes thanks to the anatomically correct last. 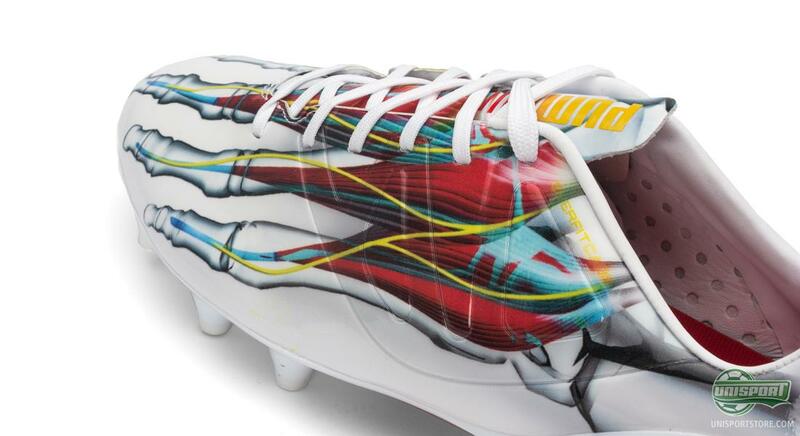 And this aspect has been the source of inspiration for the newest model. You have to hurry up if you want your hands on a pair. Find it here now. 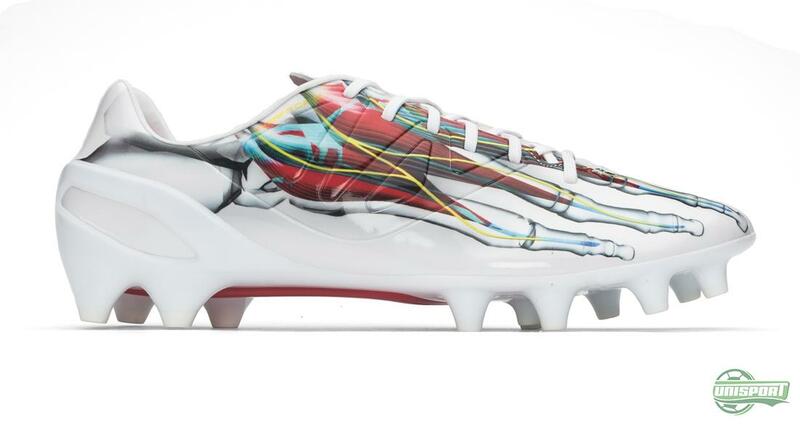 Because the design of the new evoSPEED 1.3, which also has XR added to the name that stands for X-Ray, is inspired by the foot anatomy. 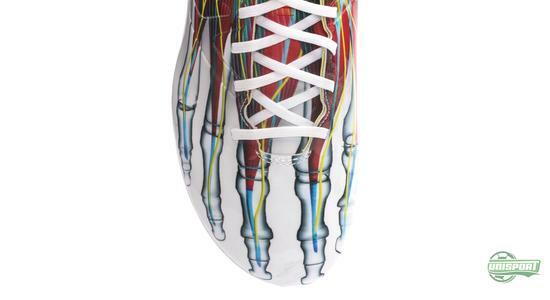 So, as the name insinuates, an x-ray photo of the foot. 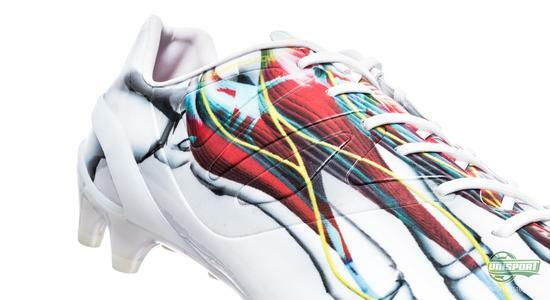 PUMA take the message of Light, Flex and Fit to a whole new level and prove that the PUMA evoSPEED is among the very best lightweight boots on sale. Not just because it is light, but also because it gives a fantastic feeling of barefoot football. The evoSPEED football boot has been the subject of much design experimentation. On top of the regular colourway launches, which have come together with the evoPOWER 1, the evoSPEED has also been released in a series, with designs from four clothes brands. 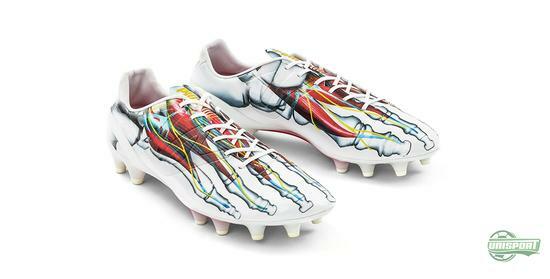 That collection came out in 80 pairs per boot and now Puma are once again ready with something extra special for us. It is however not only on the aesthetics front that things have changed on this model. 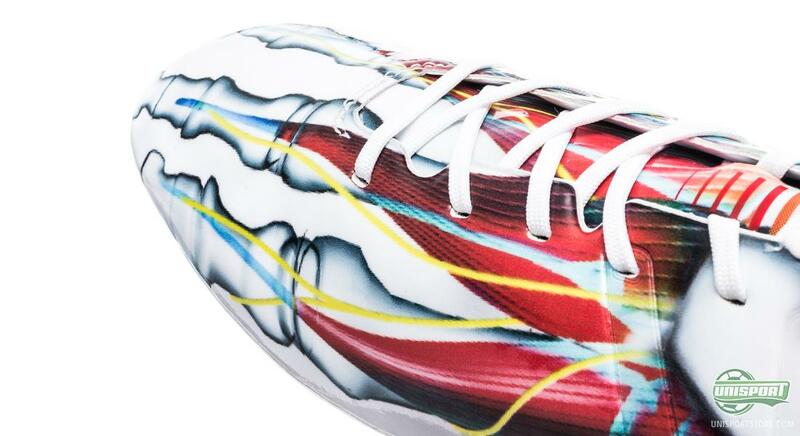 Because even though the upper is still based on the Japanese Teijin synthetic, PUMA have chosen to add a coating with a sticky texture, which also varnished look. 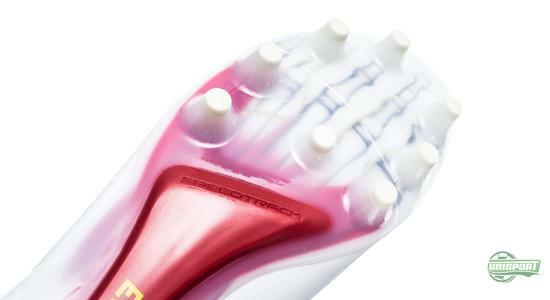 The thought behind the sticky upper has been to transfer the GripTex concept to the entire upper, to give an optimised grip on the ball. And that thought process also links quite well with the idea of playing barefoot. 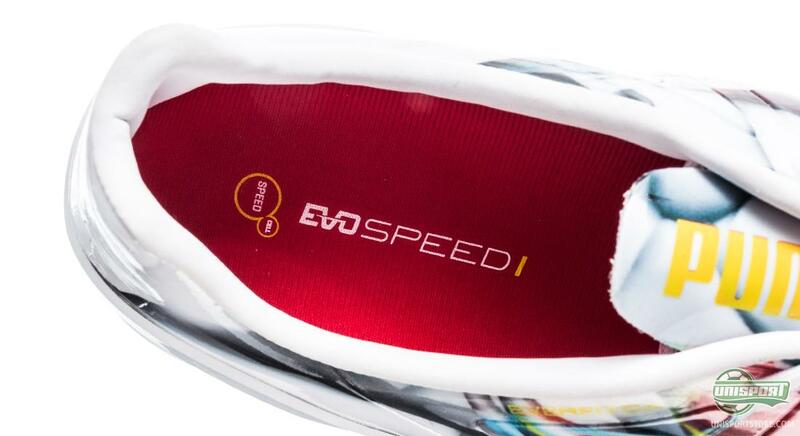 Besides that change, this model is the same as the latest evoSPEED 1.3 boot, with the EverFit Cage EXT, which adds support around the mid foot. Furthermore we find the DuoFlex sole that ensures extra amounts of flexibility, which provides larger range of motion for the foot. As with all other Limited Edition Football boots we won’t see very many players rocking the PUMA evoSPEED 1.3 XR on the pitch, but we have however heard whispers that you might want to watch out for Falcao, Agüero and Giroud, as they take to the field this weekend. 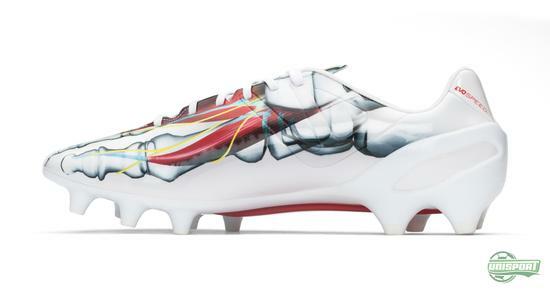 PUMA evoSPEED 1.3 XR is the newest model from the German’s lightweight collection and while we have already seen some pretty crazy design on this boot before, this really stands out from the rest. 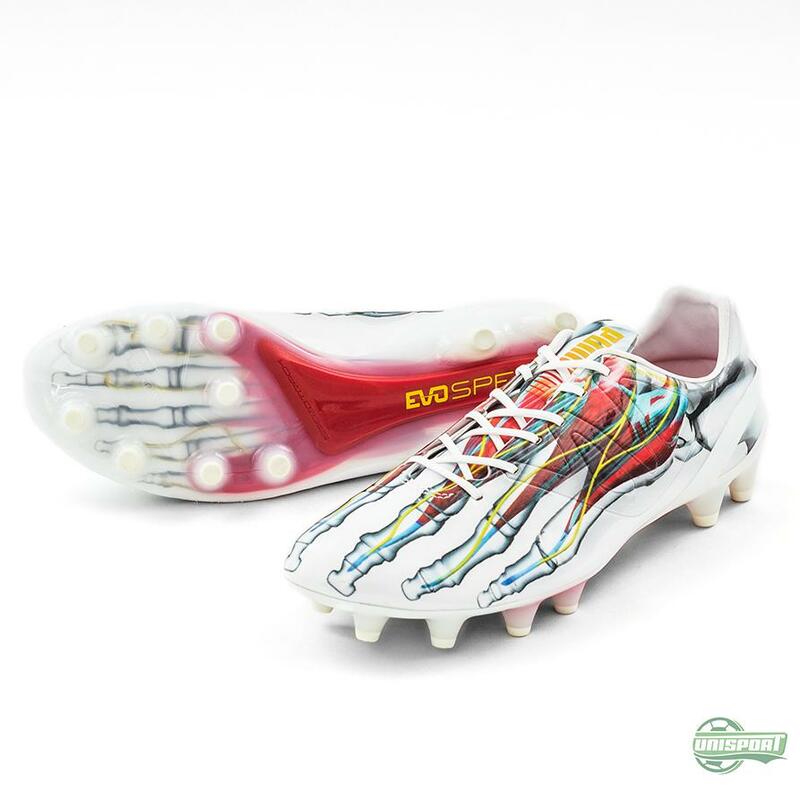 In an X-ray inspired design, it shows the anatomical fit of the boot and represents the things that has made this boot so popular. 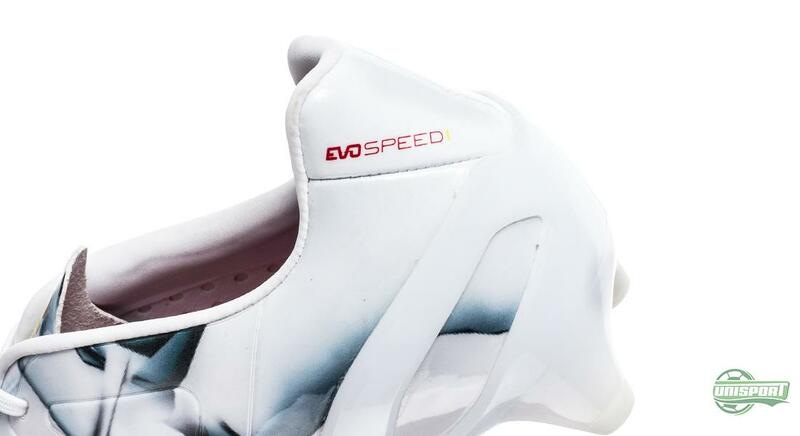 What do you think about the evoSPEED and this design? Hot or not?